As promised, here is another Hokkaido Chiffon Cupcakes recipe! I wanted to bake a full Blueberry Hokkaido Chiffon Cupcakes but because my stash of blueberries is extremely precious (couldn’t find any blueberries here), I don’t want to use them all in these cupcakes, so I made some Vanilla Hokkaido Chiffon Cupcakes instead and incorporated the blueberries only in the cream. Hope everyone had a really fun-filled Christmas celebration! This is the last scheduled post as I’m returning soon and will resume in the blogging of my Iceland travelogues and many other recipes! 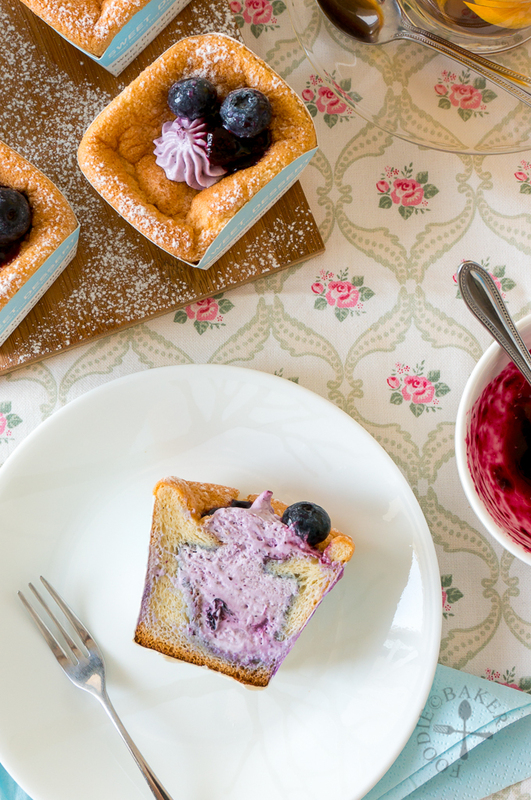 The blueberry cream is made by mixing blueberry jam into the whipped cream. I made my own tiny batch of blueberry jam by simmering frozen blueberries with sugar (ratio of blueberries to sugar is 2:1 by weight) and a small squeeze of lemon together, so you can still see a bit of the blueberry skin inside the cream. I absolutely love the pretty purple colour that contrast against the chiffon cupcake. The chiffon cupcake is just flavoured with vanilla so it’s pretty plain on its own, but it’s really, really soft and spongy. The blueberry cream, additional plop of blueberry jam and blueberries help bring the cupcake up a notch in terms of looks and taste. No step-by-step photos this time round too as they are all in the Pandan Hokkaido Chiffon Cupcakes. I’m going to try making a full 100% berry chiffon cupcake the next time, and since strawberries are in the season, I can’t wait to buy loads and experiment with them! If you think of any other flavours, do leave behind a comment and let me know! Here’s the recipe! For the step-by-step photos, please refer to Pandan Hokkaido Chiffon Cupcakes. Whipped Cream Filling: Chill a bowl and the beaters (of the electric mixer) in the refrigerator for 30 minutes. Place the whipping cream and sugar into the chilled bowl and beat on medium to medium-high speed until stiff peaks formed. Beat in the blueberry jam or mashed blueberries until incorporated. Transfer the whipped cream into a piping bag fitted with a large star tip. Poke the cupcakes in the middle with the star tip and squeeze in the whipped cream until the cupcakes is slightly puffed. Remove and pipe a small star on top as decoration if desired. 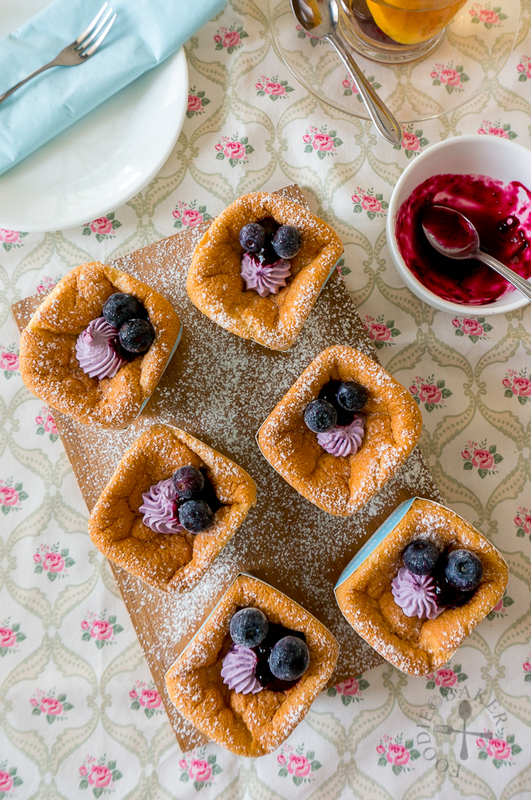 Dust with icing sugar, garnish with additional blueberry jam or mashed blueberries or fresh blueberries and serve. I love this style of cupcake, Jasline! Very pretty and so delicious. 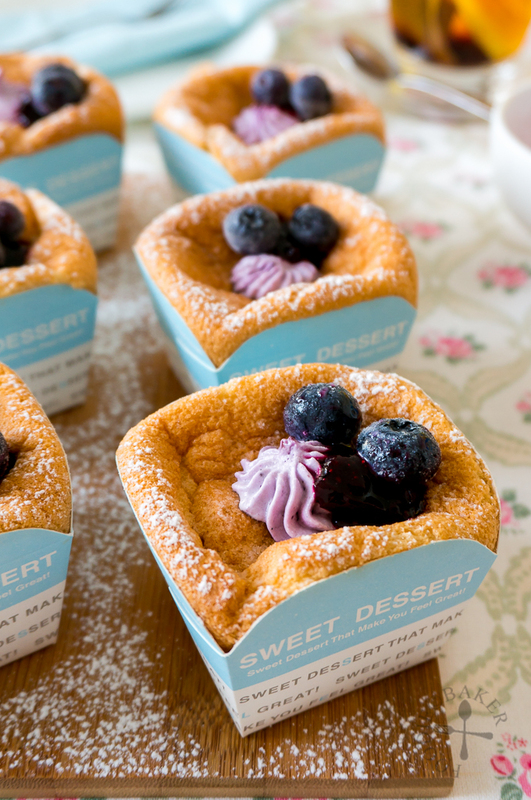 Omg these look super duper delish! Happy holidays! Jasline, merry xmas and happy new year ahead!!! I love your hokkaido cupcakes! The blueberry cream looks heavenly. Yeah you are right, I think blueberries are no longer in season already. It is a pity though. 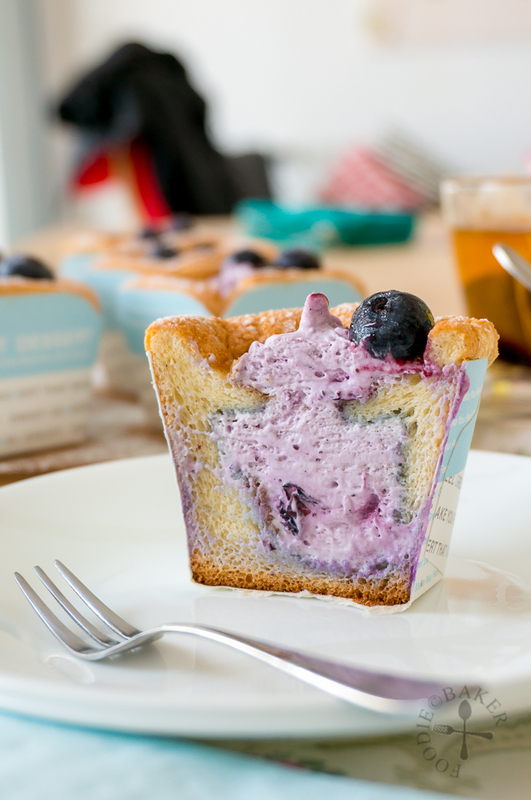 Lovely Hokkaido chiffon cupcakes with blueberry fillings. Hokkaido chiffon is one of my favourite cakes. Yours look so pretty with the blueberry cream. Happy New Year! wow what a beauty! I love that blueberry cream!